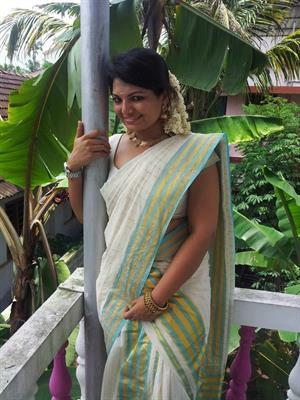 Kalyanam malayalam movie to be directed by Lijo Jose Pellissery will have few high-flying actors in the lead. Kalyanam will be produced by Sandra Thomas and Vijay Babu under the banner of Friday Film House. The story of the movie is well handled by Lijo Jose himself. The director's previous venture 'Amen' was well received at the box office. Lijo Jose Pellissery who directed the box office hit 'Amen' is gearing up for his next venture which will be produced by Sandra Thomas and Vijay Babu under the banner of Friday Film House. The young film maker has already announced a big project titled 'Anti Christ' featuring Prithviaj, Fahadh Faasil and Indrajith in lead. Prior to this upcoming endeavor, Lijo will give prior importance to a movie to be created under a limited budget. Titled 'Kalyanam', the movie will have prominent actors in lead. The story of the movie is well handled by Lijo Jose himself while it would theme around the relationship of a newly married couple. Vijay Babu, one of the producers of 'Kalyanam' has also shown his skill as an actor too. After doing side roles, Vijay played the male lead in the movie 'Escape from Uganda' along with Rima Kallingal. Much interestingly, the actor has been also roped by Lal Jose to play the lead role in the next movie. Meanwhile Sandra Thomas has entered the limelight as the producer of 'Friday', had lent her face in a couple of movies. After making her presence alive in the movie Kili Poyi', Sandra rose to fame with the movie 'Amen' in which she rendered a brilliant performance. She has also seen in a key role in her own produced movie 'Zachariyayude Garbhinikal'. Her performance was much noted and many directors wished to cast her in their movies. Sandra who enjoyed her time hesitated to do any roles as she was much comfortable as a producer. When Lijo Jose Pellissery, Sandra Thomas and Vijay Babu join for a project, expectations will be on the high among the young movie enthusiasts. As like his previous movies, Lijo would add full dedication which can keep the audience intact. After the finalization of the cast and crew, the movie will start rolling from the first half of 2014.